When it comes to becoming to sick or hurt to work, many people think, "it won't happen to me." But are you willing to risk your dreams by betting the odds? Everyone should know their chances of not being able to earn an income. 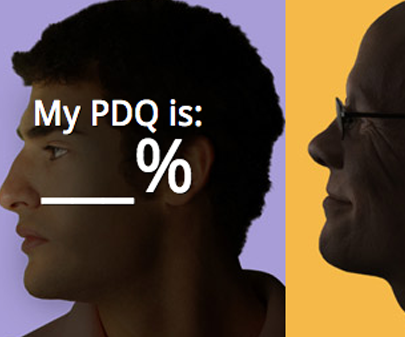 That's what your Personal Disability Quotient (PDQ) calculates—your own chance of being injured or becoming ill that could force you to miss work for an extended period of time. Sharing ownership in a business has its own unique challenges, not the least of which is providing equity funding if one of the owners becomes disabled. The question is: “If a business partner became too sick or hurt to work and could not return to the business, how critical would it be to the continuation of the business to have a plan in place and the means available to buy out the disabled partner? For most businesses it would be very difficult to survive the effects of an owner becoming disabled. Becoming disabled and not being able to work is one of the greatest financial risks American workers face. Over recent years serious disabilities caused by accidents and illnesses have increased dramatically and this trend is going to continue as life extending technologies grow, are populations age and the general health of the American work declines due to such things such things as obesity, diabetes, hyper tension and heart disease. Can the business survive without the owner generating income for a month, six months or even more than a year. Your current employers group long term care plan provides a great foundation for your disability insurance program. 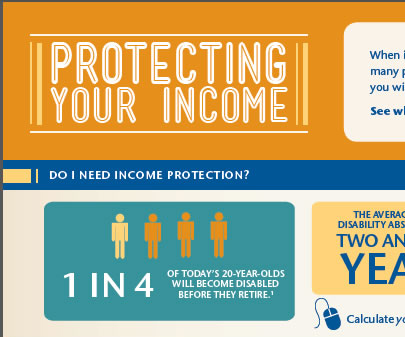 Protect your ability to earn an income with Individual Disability Insurance. Don't know about Disability Insurance? Learn more about DI with this introductory presentation. This presentation provides important information about IDI products and their value. For producers who know about IDI, this presentation discusses how IDI works with Guarantee Issue and LTD.
News about disability insurance. Commentary and archival information about disability insurance from The New York Times. The Trump administration wants to use Facebook and other social media to help identify people who are receiving Social Security disability benefits without being truly disabled. One of the least understood ailments endured by the newest generation of veterans is related to exposure to toxic substances in Iraq and Afghanistan, especially from open-air trash fires. Infographic: Engage with the Sandwiched Generation!